I’ve been doing mostly sensor-based systems and I think these microcontrollers are the perfect fit. ARM Cortex (they go from M0 to M4, and their series seem to keep growing), an architecture that was specially designed for low-power sensor-based embedded systems, allowing to measure “stuff” while the CPU is stopped, a nice set of peripherals (OPAMP, 12bit DAC and ADC), great support for GCC ARM Embedded (which makes them really ease to use or getting started to) and a factory-programmed UART bootloader. 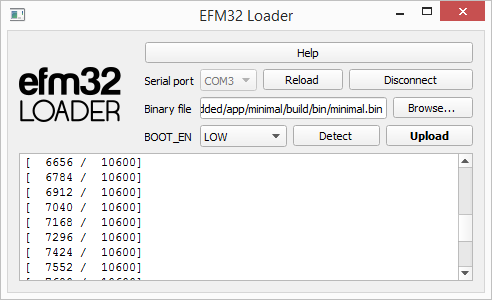 The bootloader uses XMODEM-CRC protocol and TeraTerm may be used for uploading. However if you want a command-line tool (like “avrdude” for AVR microcontrollers), there’s anything you can use. So, I built one. Project details at Mário Ribeiro’s blog. This entry was posted on Friday, July 17th, 2015 at 1:00 pm	and is filed under ARM, AVR. You can follow any responses to this entry through the RSS 2.0 feed. You can skip to the end and leave a response. Pinging is currently not allowed.